This article covers how to log into our help desk to access your submitted support tickets. You send an email to support@knack.com. 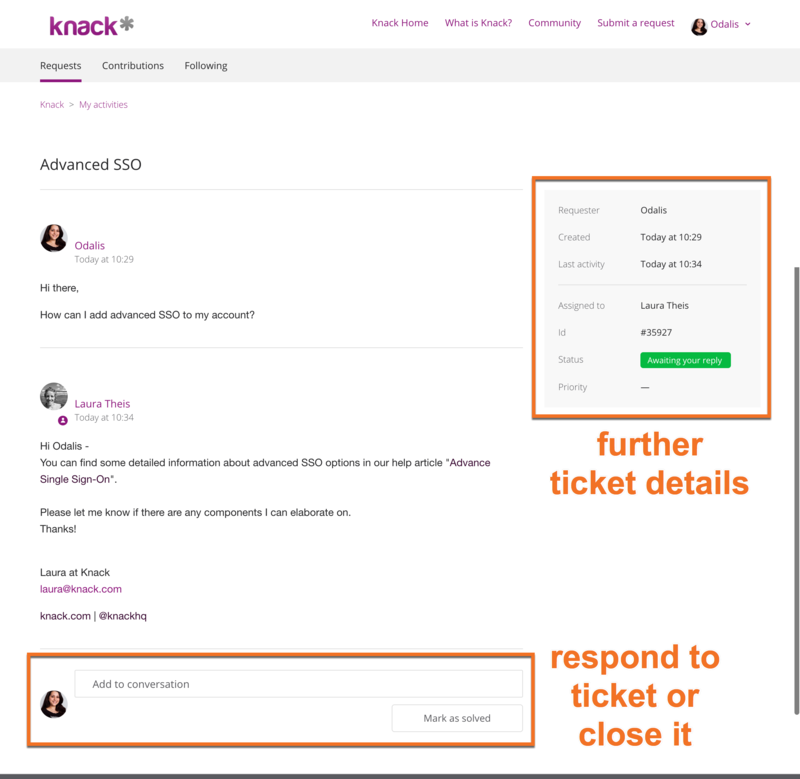 You log into the support help desk at support.knack.com and submit a ticket. A ticket is created for you by someone on the Customer Success team. Open - The support agent assigned to your ticket needs to respond. Awaiting your reply - You need to respond to the ticket. Solved - The ticket has been marked as solved by either you or the support agent. When viewing a ticket, you'll see a details box on the right-side that includes the name of the Success team member working on your request. You'll also see the history of all messages exchanged between you and the Success team member on the ticket. At the bottom, you'll have the option to add a response to the ticket or to mark it as solved to close the ticket. If you're logging in to view your tickets for the first time, you'll need to set up your password. Note: Your Knack account password won't work here. You'll have a separate account to access the help desk. You'll receive an email with a link to reset your password. 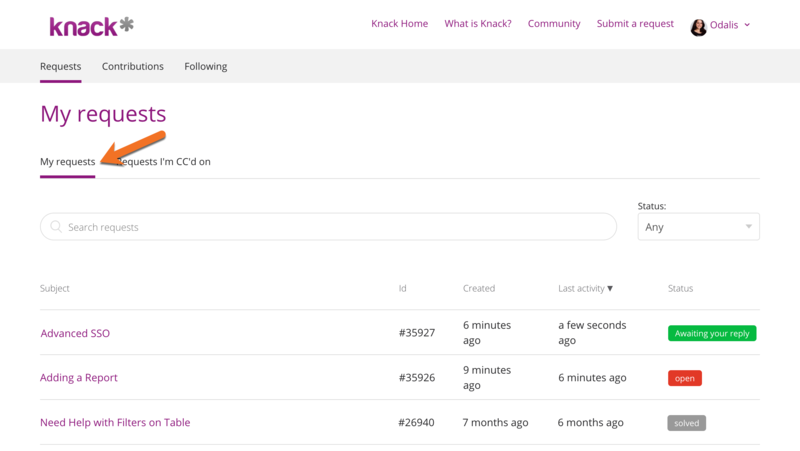 Then you'll be able to log in and follow the steps above to view your requests.